The King Charles Yorkie is a sophisticated dog who is a 50/50 mix of the Cavalier King Charles Spaniel and the Yorkshire Terrier. This dog will not only steal your heart, but he will bowl you over with his great personality as well. Because both the parent dogs are well-known for their spirited personalities, one can assume that the King Charles Yorkie will also have this endearing personality. While he may not be the perfect fit for the novice dog owner, hybrid is great for families with children and other pets because he gets along well with everyone. He may also have a stubborn streak. But one look at that cute face and that can almost be forgotten. If you are looking for a dog who knows how to make you smile with his personality, likes to keep you company both in and out of the house, and isn’t too overly excitable, the King Charles Yorkie may be the perfect fit for you. He has a cheerful personality that makes him a great addition to families. He is also a wonderful playmate for children. He loves to be the center of attention. He’s always eager to please his owners.nHis intelligence makes him fairly easy to train, though some dogs may havea stubborn streak. He is a highly active dog. Both indoor play and daily walks are needed to keep him happy and healthy. The King Charles Yorkie is gentle and affectionate. What Price are King Charles Yorkie Puppies? The price of King Charles Yorkie puppy is approximately $765. 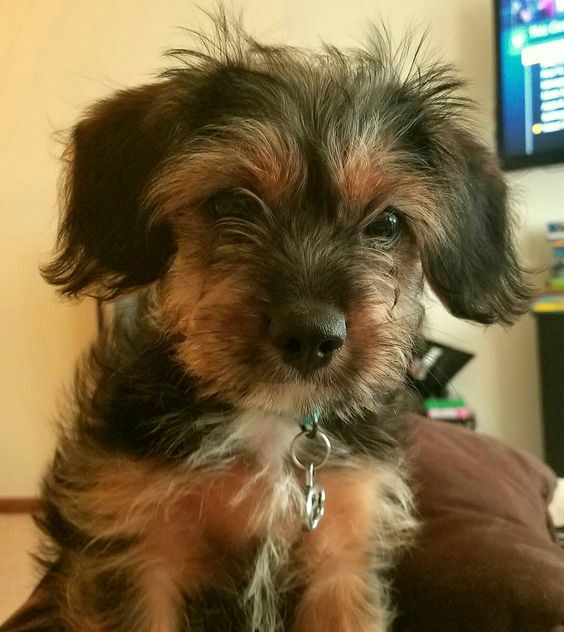 How to Find Reputable King Charles Yorkie Breeders? 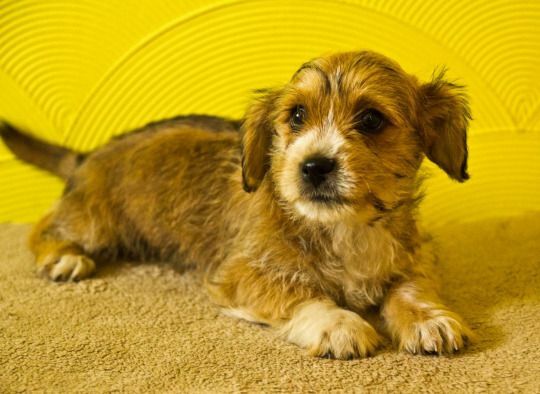 Finding the right King Charles Yorkie puppy for your family can be an intimidating task. There are hundreds of breeders out there advertising on the Internet, in the newspapers, and even on telephone poles. The first step that you need to do is decide on the right breed for you and then find the breed club’s website. You should find a list of breeders that are members of the breed club. Drop a few friendly emails inquiring about their upcoming litters. Reputable breeders won’t always have puppies available. But they can refer you to other breeders who will have a puppy for sale. Remember that this is not a process that you should rush. It is not a decision that should be made on an impulse. This puppy is going to grow into a dog that will be with you for a very long time! A reputable breeder should answer your questions about their dog’s personality, behavior, grooming, diet, and health concerns. Research your breed before you contact the breeder so that you know what kinds of questions you should be asking. A reputable breeder only wants what is best for their dogs, so they are going to have lots of questions for potential parents. They are going to want to know about how much time you plan to devote to your new furry family member or how active a life you lead. They will probably even want to meet your whole family! A good breeder will encourage multiple visits with the puppy before they go home with you. All the breeder’s dogs should be well cared for, clean, and have temperaments that you would want in a pet. Do not accept excuses for unfriendly behavior. The puppies should be living in the same space as the humans and not outside. A responsible breeder will take a dog back if you cannot keep it, under any circumstances and at any point in the dog’s life. This is not providing you with an easy way out. It’s only because good breeders love their dogs and want to know how they are doing all throughout their lives. A great way to make breeder contacts is by attending shows and other gatherings hosted by breed clubs. If you go to the website of the breed you are interested in, there is usually a list of upcoming events. Head to one of them and ask questions of the individuals participating. You should be able to compile a wealth of information. The King Charles Yorkie is also known as York-a-Lier, Cava-Yorkie, and Yorkalier. The name Cavalier King Charles Spaniel was given to this breed due to their popularity with both Charles the I and II. The second parent breed of the King Charles Yorkie, the classic blue and gold Yorkshire Terrier, is another unforgettable favorite. This feisty terrier has the typical Terrier personality. He is spunky and smart. The King Charles Yorkie has a patient demeanor. The King Charles Yorkie is a very small dog that tends to stand no higher than 13 inches and weighs around 18 pounds fully grown. This breed has longer hair that is very soft and silky to touch. It can come in different colors, from the classic blue and tan of the Yorkshire Terrier to the brown and white patched design of the Cavalier. The King Charles Yorkie prefers to be warm all the time. Sweaters or some other kind of doggy clothing will most likely be needed if there is snow in your area. The coat does shed moderately. But with consistent grooming, it can be manageable. 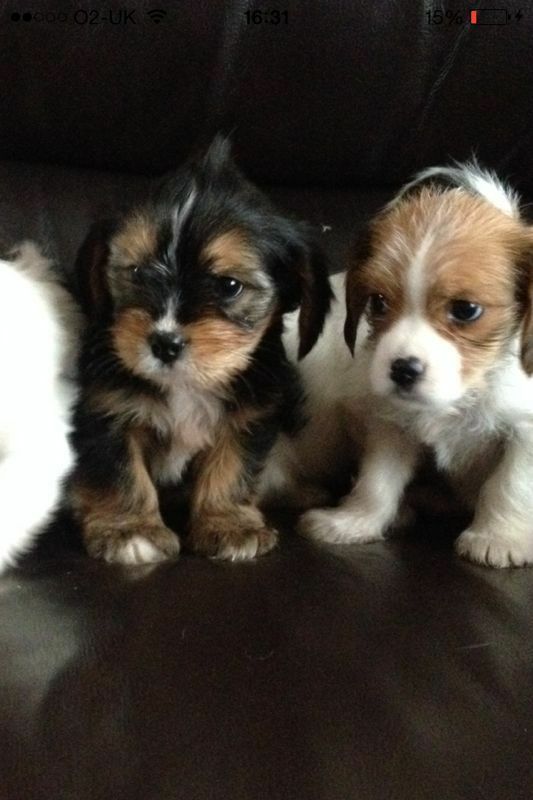 Even if they’re from the same litter, King Charles Yorkies can look different from dog to dog. The ears are longer and loose, with lots of feathering. Despite their small size and delicate features, this is a strong dog that can really bark at anyone he does not trust. Bathing only needs to be every other month, or whenever they get themselves dirty. They are dogs that don’t have an unpleasant smell. Besides brushing and bathing, be sure to always dry your dog’s ears thoroughly after a bath to avoid ear infection and irritation. Trim the nails every few weeks or whenever you hear the nails clicking against the floor. How Big is a Full-Grown King Charles Yorkie? The King Charles Yorkie can grow to 8 to 13 inches in height and weigh 7 to 18 lbs. What is the Life Expectancy of the King Charles Yorkie? The life expectancy of the King Charles Yorkie is 12 to 14 years. The King Charles Yorkie is the mix of the Cavalier King Charles Spaniel and the Yorkshire Terrier. The King Charles Yorkie gets along well with everyone. He’s a wonderful family companion. He can be a little bit of a yappy dog, and no amount of training will be able to get that out of him. If he receives a lot of exercise and attention, the barking will most likely be reduced. Thanks to his love for barking, he will happily guard your house and alert you if anything suspicious comes along. Such a trait may be slightly annoying to neighbors, so this dog is best suited to live in a house that is slightly distanced from others, even though his small size makes him perfect for apartment living. If you have tolerant neighbors, this little dog is perfectly capable of living anywhere. Dogs need a combination of protein, vegetables, fruits, and carbohydrates in their diets. Your Yorkie’s food should contain protein as the primary ingredient, such as chicken, fish, lamb or turkey. Brown rice and sweet potatoes are good sources of carbohydrates needed to provide energy and fiber in the Yorkie’s diet. These carbohydrates tend to cause less stomach upset. Fish oils can also help maintain your Yorkie’s shiny, long coat. How Much Exercise Does an King Charles Yorkie Need? While the King Charles Yorkie may not be a sporting dog, he does have Terrier in his DNA, which means he has energy to spare. He will need exercise every day, whether playing fetch or going out for short walk. This breed is perfectly designed to be carried around in a purse or backpack, but don’t expect him to stay there all day. Allow around 60 minutes of play time a couple of times a day to wear him out and get him the exercise he needs. Training will also be important due to this breed’s intelligence level. Physical exercise alone won’t be enough, so make sure to also give his mind a workout. Major health concerns with this breed include syringomyelia, portosystemic shunt, mitral valve disease, tracheal collapse, retinal dysplasia, and patellar luxation. Minor concerns include cryptorchidism, hydrocephalus, Legg-Calve Perthes disease, microphthalmia, patent ductus arteriosus, entropion, hypoadrenocorticism, hip dysplasia, progressive retinal atrophy, cataracts, color dilution alopecia, keratoconjuctivitis sicca, retinal dysplasia, urolithiasis, shaker dog syndrome, and corneal dystrophy. There may also be occasional diagnoses for epilepsy. Your veterinarian may also subject your dog to a full physical examination, eye examination, hip x-rays, and heart and blood tests. These dogs are gentle and affectionate, with a patient demeanor. They are good with all family members, including children, making them a good playmate. In return, they expect and enjoy some attention. They are also comfortable with other dogs and pets of their household. They demonstrate their loyalty through their protectiveness for their family. They would guard your house, watching out for intruders, and would instantly signal you if they can spot one.